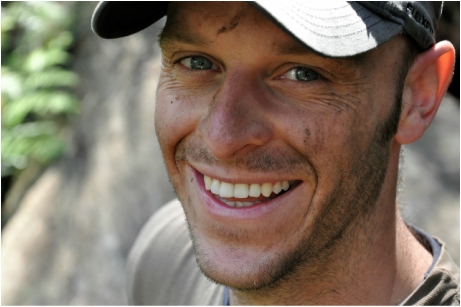 Lee taught bushcraft and 'coyote mentoring' on youth camps, before training as a psychotherapist and counsellor. Lee has been using Jon Young's coyote mentoring approach for over a decade, and began learning and teaching bushcraft as a teenager at the Forest School Camps in the UK. He studied primitive survival skills at Tom Brown Jr's Tracker School, and Practical Primitive, both in the US, and spent a year living in the bush, finding shelter, water and food on the landscape; putting it into practice. More than that, he found a radically new experience of what it means to be human. 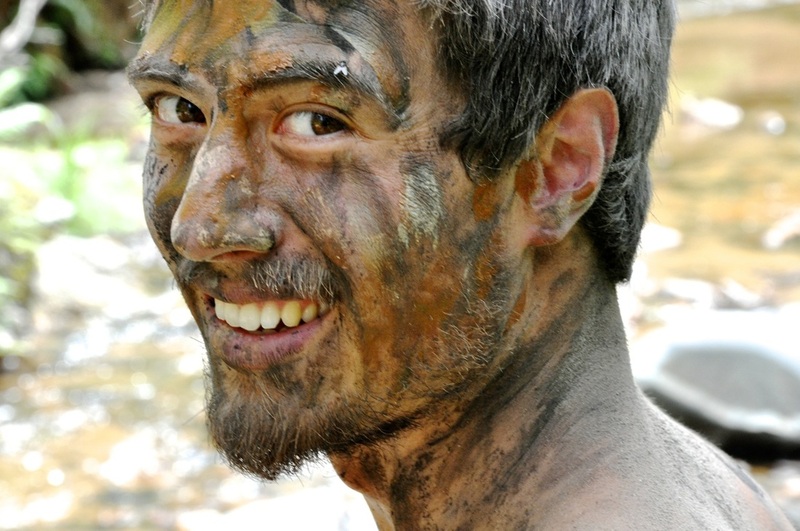 Now he brings psychology and bushcraft together for rewilding; helping people of all ages to reawaken their wildness and deepen their connection with the natural world. "Lee is at home in the wild. His grace and skill in survival, trapping and bushcraft is remarkable. His love and respect for nature and his level of comfort in a wild environment is inspiring. He's also a gifted teacher. I'd want him in my tribe." Gina met Lee while he was living in a tipi in the bush. He followed her home to Australia, so she kept him. At school, she was known as the kid who talked to birds - her bedroom was a sick bay for injured birds, with a branch at the foot of her bed for them to perch on. In her 30's she spent a large chunk of time on Haggerstone Island in far north QLD, where she freedived deep enough to feel like a dolphin, hunting coral trout and crayfish with a speargun. Tracker School and Eddie Starnater's Practical Primitive gave her hands-on experience with indigenous living skills. When she gets time in the bush she enjoys shooting arrows or stalking wildlife with a camera. Gina's passion is to bring adults and children home to their own internal authority... to facilitate connection to their deep truths, to each other, to the natural environment and the living planet. 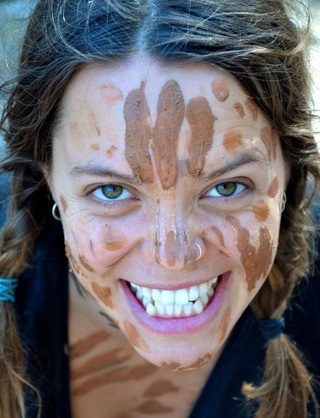 She runs women's circles and mixed groups in ReWilding and supports the kids programs at Bluegum. Ross has always sought solace and learning on the land - exploring the forests and hedgerows of Britain in his childhood, before training in horticulture, land management, and Jon Young's Kamana program as an adult. He brings his sensitivity and integrity to the team - a tracker's eye for detail and a caretaker's heart. studied non-violent communication, and is currently involved in disability support, where he champions a client-centred approach. Somehow, amongst all this, he finds time to live a very low-carbon lifestyle, living in a converted bus on an idyllic rural property, with his wife Micha and daughter Elke. We count ourselves very lucky to have Ross and his beautiful family in our tribe. Georgie's passions are people and place. She has a genius for making magic in the groups she leads. Through gentle coaxing and playful prodding, she can take the most recalcitrant of screen-addicted city-dwellers and help them transform into nature ninjas and creatures of the forest. Originally trained as a teacher, Georgie's devotion to working with young people in the outdoors now finds expression in her work as a full-time outdoor educator and leader. When she isn't leading groups in far flung regions of the planet, she works as a Discovery Ranger for National Parks and Wildlife Service, and an educational officer at the Royal Botanic Gardens in Sydney. Georgie has guided groups in the Northern Territory, in Borneo and is off to Uganda soon. And wherever she goes, she leaves a trail of inspired, awake children, whose eyes twinkle with the glitter of pixie dust. Zeah brings so much to the Bluegum family. Born on the South Coast of NSW, her connection to the land is an inspiration to us all. We so appreciate her gentle, huge-hearted presence, her ability to 'teach by being', on any program she facilitates. Zeah is living proof that Steiner education works, and is continuing her journey with that approach through her Steiner teacher training. Although she'd laugh at the idea, it's clear to us that Zeah is not only a deeply wild woman, but also an elder in a young woman's body.